To Silicon Valley observers, Canada has always seemed incapable of igniting a technology-driven economy, despite years of the government support for telecommunications, and a byzantine maze of government grant programs for research and development. 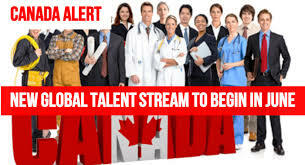 Canada has remained a laggard in R&D investment compared to other OECD industrialized nations. Venture capital and government tax policy in Canada seemed to have a focus on short-term tax deductions rather than long-term gains as in California. Then there was the demise of Nortel and the decline of Blackberry. There may be a new opportunity to bootstrap Canada into the high-tech industry big league: Trump Administration immigration policies that are already impacting Silicon Valley. Not long after Justin Trudeau’s Liberals came to power in 2015, Trudeau sensed the opportunity to exploit Trump’s anti-immigration stances and the Liberal government swung into action to create the Global Talent Stream visa program specifically designed for rapid immigration for entire entrepreneurial teams. Since that time Trump has fulfilled his promises by slashing the H1-B visa program and announcing the end of the Obama Administration’s Startup Visa Program. Immigrant enrollments at U.S. universities is already down over 40%. Startup Genome, the acknowledged global leader in entrepreneurial ecosystems rankings, currently ranks Vancouver and Toronto 15th and 16th globally in its 2017 study, but those in the know acknowledge that Canada still lacks crucial technology ecosystem capabilities. Nevertheless, Canada may be on the verge of a technology tidal wave. In 2015, long before Emmanuel Macron’s launched his campaign for the Presidency of France, as a minister in the Hollande government, Macron launched a significant new technology initiative, The Camp, on a seventeen-hectare campus just outside Aix-en-Provence, designed to inspire new thinking on crucial technology issues, and to incubate new entrepreneurial companies. The Camp will open officially this Autumn. Now that Macron has swept the country in a stunning Presidential victory, it is clear that technology and entrepreneurship are crucial elements of his vision for France, backing it up with a 10B € technology-based economic development fund. The South of France generally, the Cote d’Azur and Provence are emerging as France’s technology center. France’s nuclear research facility, Cadarache, just northeast of Aix-en-Provence, is the equivalent of California’s Lawrence Livermore Labs, and the home of ITER, the European nuclear fusion project. 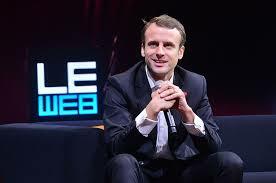 Prior to Macron’s 2015 launch of The Camp, the government had already established the Sophia Antipolis technology park near Nice, as a center for advanced telecommunications research and entrepreneurial start-ups. As if to underscore France’s rise on the global stage, France has recently leapfrogged the U.S. and Great Britain as the world’s new leader in “soft power,” the ability to harness international alliances and shape the preferences of others through a country’s appeal and attraction. No surprise David, whatelse can you expect from this myopic and thick headed moron( Trump) whose attention tenure is less than an average child? He has neither himself any capacity for analytical evaluation nor any advisor with that trait except his dear and near ones plus a clutch of yes sir sycophants .